In the sample itinerary below I have you playing at least one round every day with options to play additional round most days. This shows you just how much golf you can play on a Scotland Golf Tour however if you prefer a more relaxed pace with more touring opportunities just let us know. Similarly a shorter tour may also be customized to suit your needs. Choose to take your Scotland Golf Vacation as a Self Drive Scotland Vacation or why not opt for a Chauffeur Driven Scotland Vacation. Just sit back and let one of our fantastic driver/guides take the wheel allowing you to take in the scenery and plan your next round without worrying about the road ahead? 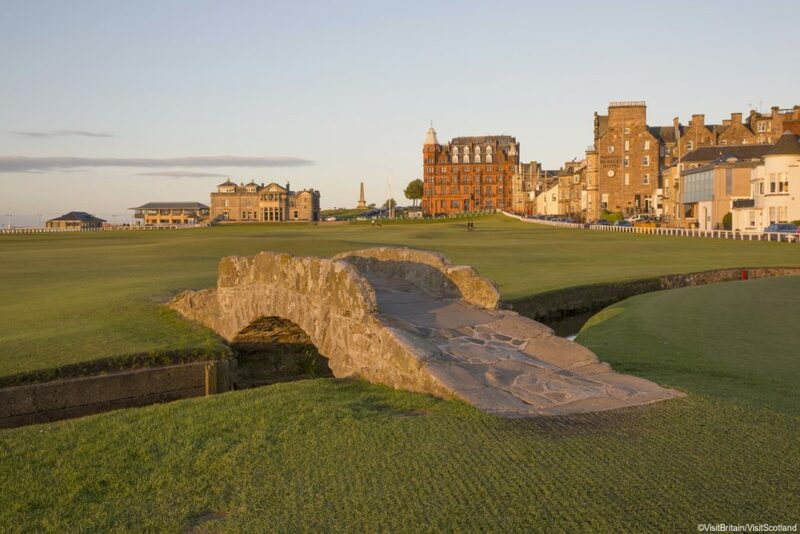 Where else could you start your Golf Tour but in the Home of Golf – St Andrews? 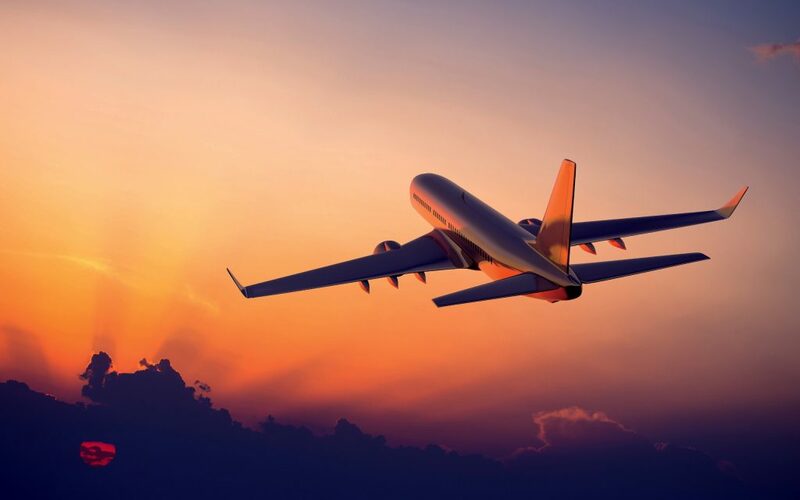 Arrive at Edinburgh Airport and travel to St. Andrews where you will check in to your choice of luxury hotels all overlooking those hallowed fairways. And why not head straight out for your first round of Golf, perhaps easing yourself in on the Eden Course before retiring for a good nights sleep. The Old Course must be the order of the day for your first full days golfing in Scotland. Serious golfers may like to add in an afternoon round on the Jubilee Course, now thought to be the most challenging course since it’s re-design to a Championship layout in 1988. For anyone wanting a break from golf the town of St Andrews is well worth exploring – interesting sites include St Andrews Cathedral and the University Museum. From your base at St Andrews, Kingsbarns is a short spin down the road and certainly worth the trip. Another wonderful links course where every hole offers spectacular ocean views – you might want to bring your camera along for this one. While in the area you may like to pay a visit to the Kingsbarns Distillery for a tour and welcome dram to reward yourself for a round well played. 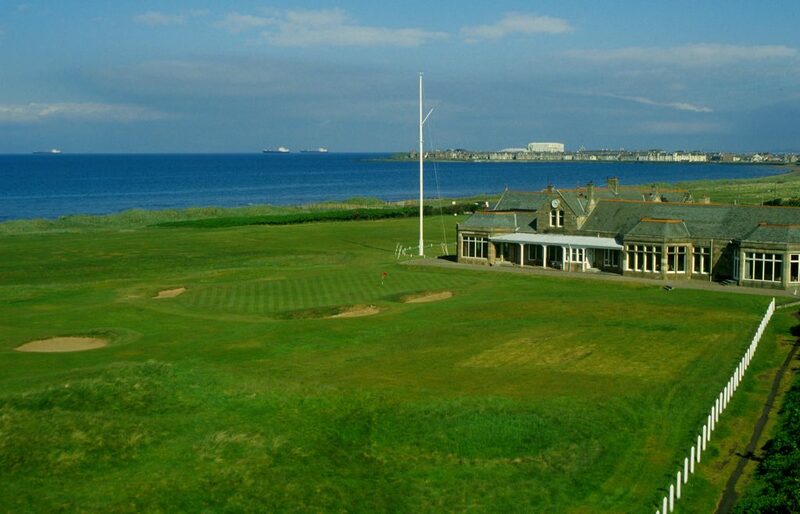 Bid a fond farewell to St Andrews and head North to Carnoustie. Choose carefully from the three courses available. For most the Championship course will be top of the list however you may want to add in a second round on the Burnside or the Buddon. Afterwards travel to Gleneagles and check in for an overnight stay at this 5* Golf Resort. Start your day teeing off on the former host of the Ryder Cup, the PGA Centenary Course. While I have only included one round here you could easily extend your stay to include the Kings and Queens course which also offer their own unique challenges. Otherwise it’s time to head North to Inverness. Enjoyable stops en route are Blair Castle and Edradour – Scotland’s smallest distillery. 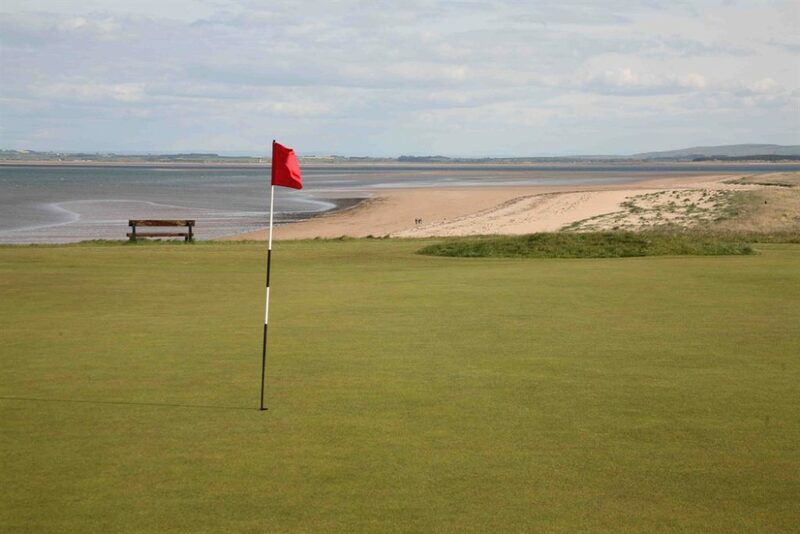 This morning it’s back to the links courses and a challenging and no doubt bracing round at Nairn. Afterwards be sure to stop off at Culloden to learn about the last battle of the 1745 Jacobite Rebellion when life in the Highlands changed forever. From here it’s on to the pretty village of Dornoch to the North of Inverness where you will overnight in an authentic Scottish Castle. 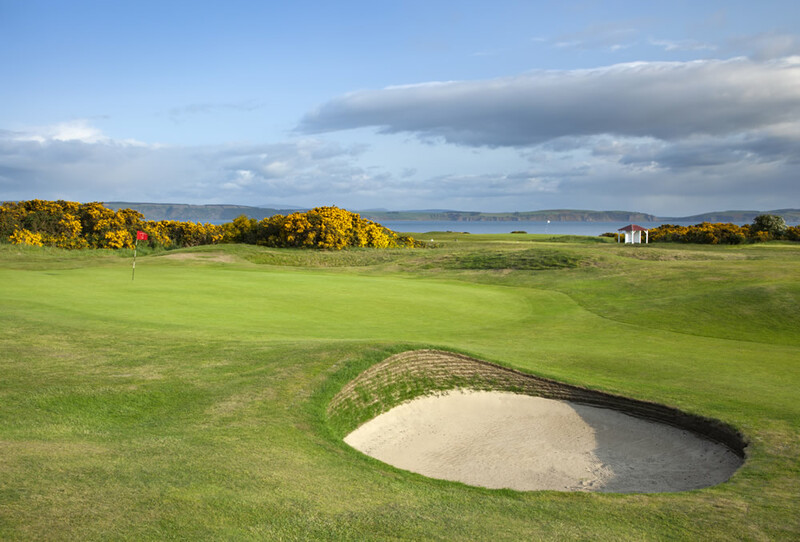 Get an early start today as you head out to the coast to play Royal Dornoch. I have included time to play the Championship Course but once again there is the option to extend your stay and play Struie Course in the afternoon. Otherwise make the long journey South to Stirling for your overnight stay. Take some time out this morning to visit Stirling Castle before heading for Turnberry. 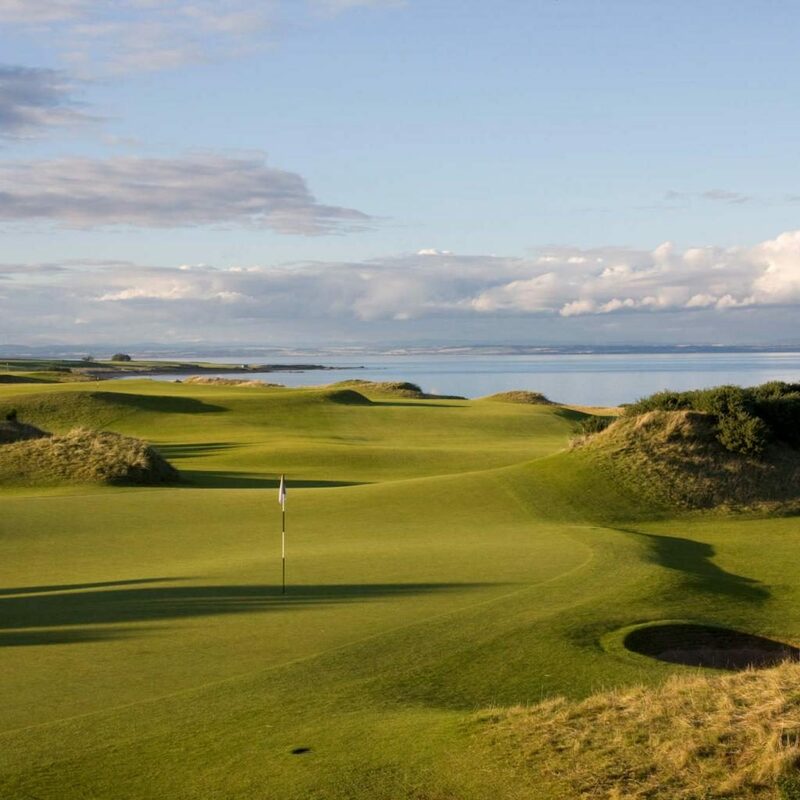 Enjoy and afternoon tee off on the Ailsa and enjoy following in the footsteps of golf masters who have played in the four Open Championships played on this course. Afterwards you don’t have far to go as you will enjoy a 2 night stay on site at this luxury 5* resort. 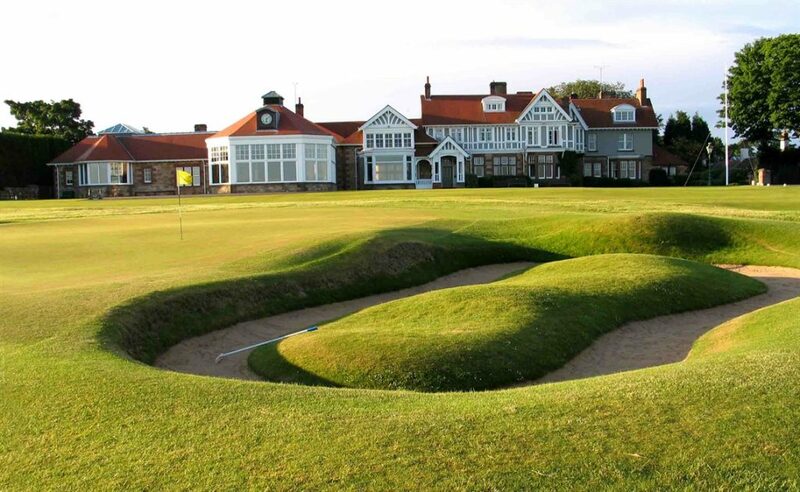 Just 40 minutes up the road is another chance to play an Open Championship Golf Course at Royal Troon. The Old Course is where the action happens however if you prefer something a little shorter (and more sheltered) opt for the Portland Course. Or spend the day and play them both. 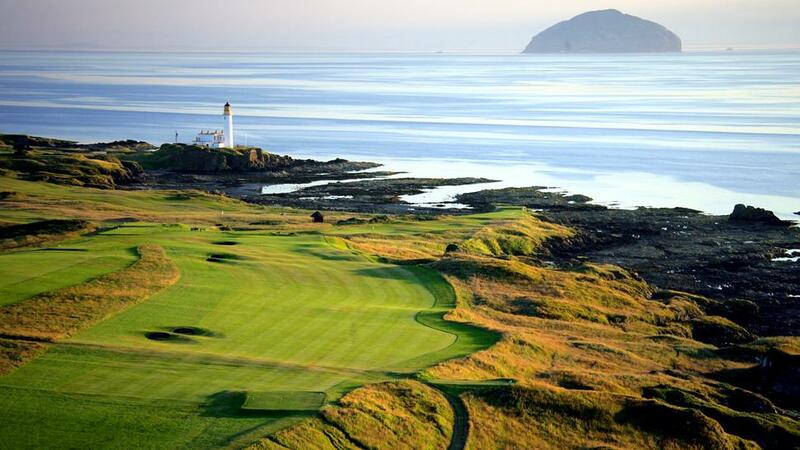 Alternatively return to Turnberry for the afternoon where more delights await you on the Kintyre and Arran Courses. 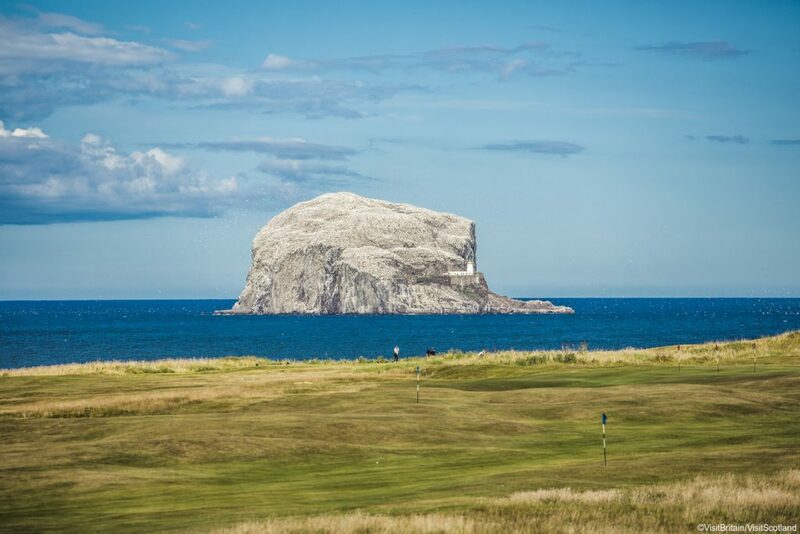 Get an early start this morning as you head for North Berwick. Enjoy lunch in the club house before heading out for an afternoon round on this beautifully situated link course. In the afternoon make your way into Edinburgh and check in to your hotel for a 2 night stay. Pay a visit to Mary Kings Close before enjoying an evening exploring the historic pubs that line the Royal Mile. This morning your final round will be played at Muirfield – if you want to have lunch in the clubhouse afterwards it’s worth bringing along the required jacket and tie. In the afternoon return to Edinburgh and visit Edinburgh Castle before enjoying your last night in Scotland, perhaps attending a traditional Scottish dinner and show to see some authentic Scottish Sword Dancing. Today you will depart Scotland from Edinburgh Airport with many wonderful memories of your Scottish Golf Vacation. 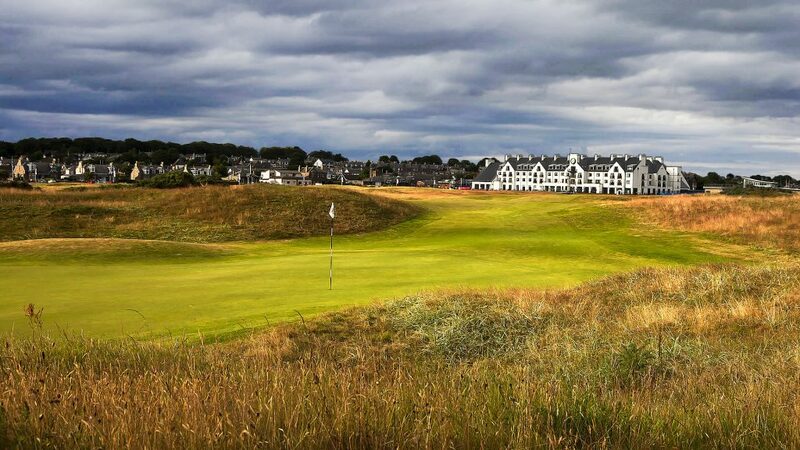 Scotland Golf Tours include all of your luxury accommodations, luxury transport with private driver/guide or car rental and breakfast each morning. Green fees are also included. All tours are individualized to suit your personal needs so you can add extra choices if you wish to your preferred itinerary. You can also take advantage of our concierge service for any little extras in the run up to your trip as well as 24 hour on tour support. How would you like to enjoy your golf tour in Scotland?